The Fairfax campaign is airing a TV ad entitled “Virginia Line”. 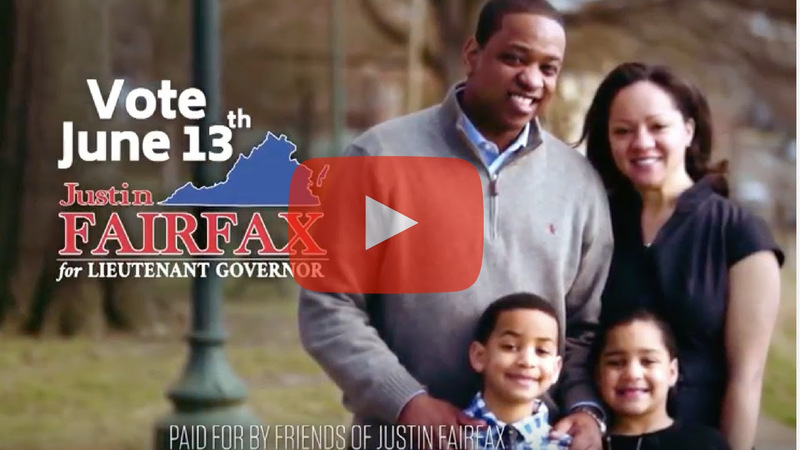 With this ad, Justin Fairfax is the first Democratic candidate for Lt. Governor to advertise on TV in this election. I’m Justin Fairfax, and I’m running for Lieutenant Governor. Because the Virginia state line is where we start taking our country back from Donald Trump. As a prosecutor, I took on drugs, violence, and human trafficking. I know how to stand up to criminal abuse of power. I’ll fight to protect our rights and build an economy that works for all Virginians.